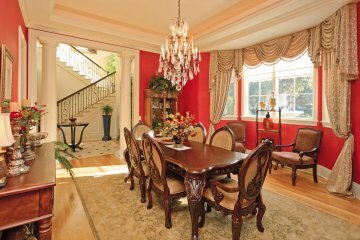 YOUR OFFER MAY BUY THIS FABULOUS LAKEFRONT ESTATE ! Enter the guard gates and leave the rest of the world behind! A long drive leads to this impressive estate with tiered fountain entry in circular drive, all of which is embraced by an abundance of lush landscaping. 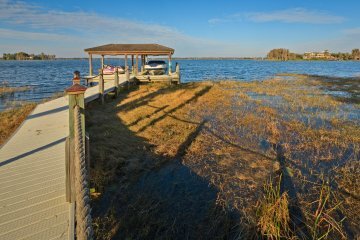 Directly on Lake Butler - the larges lake on the famed Butler Chain of Lakes - 8 beautiful lakes connected by navigable canals! 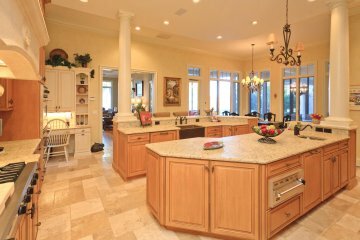 This beautiful estate has it all! Custom built to accomodate many different family formations! 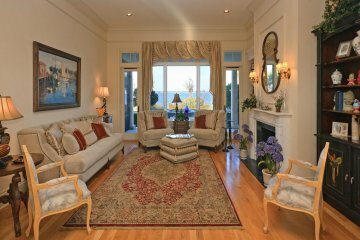 The views are beautiful and the interior is not only comfortable - but high quality throughout! 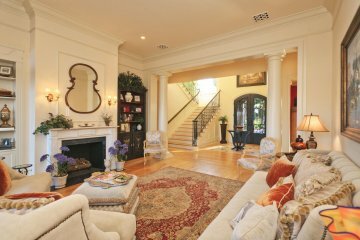 A perfect open floor plan with spacious rooms, a dramatic 2-story Foyer with winding iron staircase and high quality finishes. 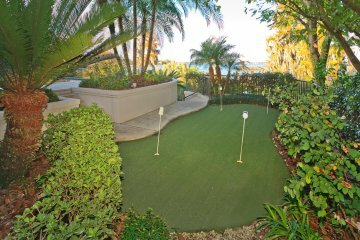 23' Master on 1st floor plus private Guest Suite alson on 1st floor (perfect for elderly guests or parents). 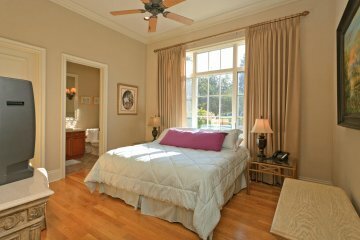 2 Additional Bedroom Suites on the 2nd floor each with its own private Bath! Also on the 1st floor: A Gym and a handsome lakefront office with large windows overlooking the lake, a computer desk and bookshelves built in, and an executive desk. 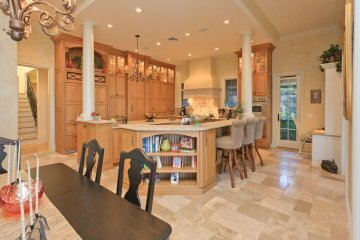 Fabulous Kitchen - so large that many chefs can prepare at one time, and "miles" of granite counters and oversized food prep island. Custom shelving, some with display features.Fabulous Kitchen featuring Bosch & Viking appliances! 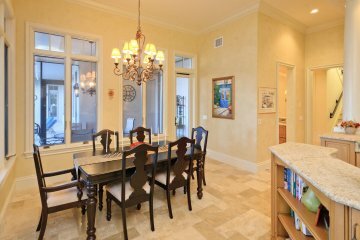 Kitchen opens to lakefront 28' Family Room ! 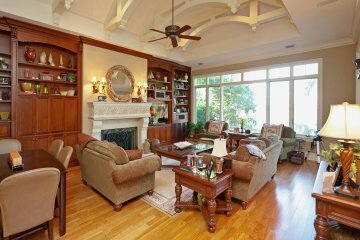 Doors from the Kitchen and the Family Room open to a large - lakefront Screened Porch with lovely stone fireplace and beautiful lake vistas. A 2nd Screened Porch leads from the Kitchen and is designed for outdoor, lakefront dining! For additional convenience, there are 2 Laundry Rooms (up & down!). 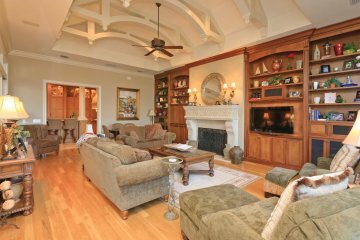 The 2nd floor boasts a great "Teen Media/Game Room" or Play Room for small children. A long lakefront balcony spans the rear of the house on the 2nd floor. The views are beautiful! 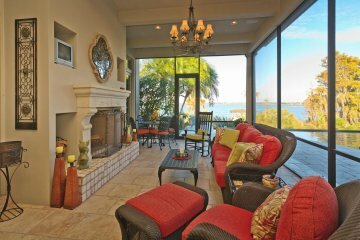 You will enjoy having your very own private Boat House with Lifts. 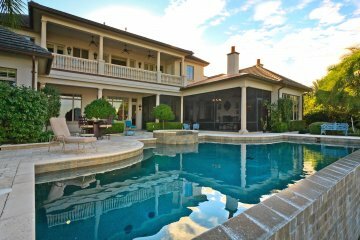 Invite your Winter Guests to Florida - The Swimming Pool, with dramatic infinity edge, is heated and is the Spa! Perfect for relaxing! 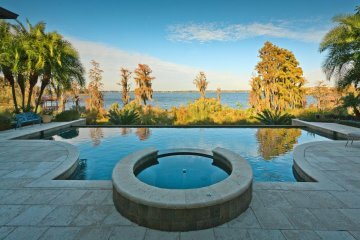 Lakefront living in this prestigious, gated community will be your pleasure. All this - and only 15 minutes to every convenience you could imagine - fine and casual dining, restaurants, an abundance of shopping in department stores, several malls - and of course, minutes to Disney, Universal, Sea World and all Orlando's famous attractions! YOUR OFFER MAY BUY THIS PROPERTY! !